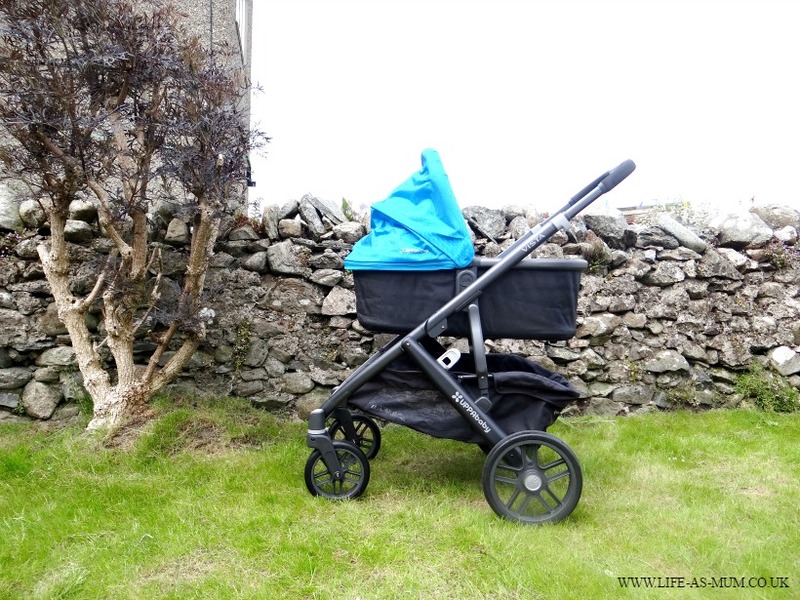 We were given the UPPAbaby Vista pram over six months ago to review when Freddie arrived. Out of all the prams we've had since having Mia, the Vista has to be the best pram we've had. The pram gets used every single day on the school runs, our family adventures and anywhere else we need to use it. Freddie isn't in his carrycot anymore as he prefers to sit up and look around. He used to sleep in the pram as we were on the school run but now he's wide awake and interested in everything that we pass. He always gets compliments of his big blue eyes. 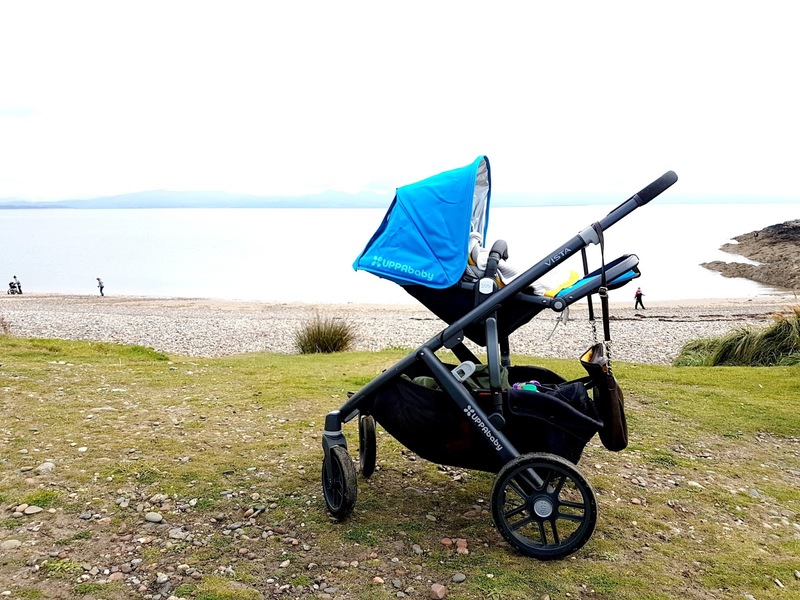 We've used the UPPAbaby on many grounds such as sand, rocky paths, smooth paths and grass. The pram is perfect for all kinds of grounds. Which is great as we tend to go on a lot of walks in different places. Freddie loves sitting in the toddler seat which can be put forward-facing or parent-facing. He's not been seated forward-facing yet as I like to see him when I push him and I think he's a bit too little to be forward-facing all the time. But, he will eventually be facing the other way, one day. When I wrote my first thoughts on the pram when I received it, I fell in love with the size of the basket. I've also had a lot of people commenting on the size of the basket. In the past six months of using this pram, I've never had a problem to fit anything into the basket. The girls always put their school lunch bags and homework folders in the basket. I can still put many other things into the basket along with their school bags. It's the perfect size when I go out shopping for the day during the week and I've got to take the bus as all the shopping fits in the large basket. As the pram coverts into a double pram, the back wheels are a little wider than a normal single pram. I have had trouble going into some shops because their doors weren't wide enough or the other side of the double doors were locked. I was worried about going on the bus for the first time but I hadn't needed to worry as the pram fitted perfectly in the pram space. It's only rarely I have trouble getting the pram through certain sized spaces. We went for a little holiday last year and decided to use the carrycot as Freddie's sleeping crib for the 4 nights we were away. The carrycot is padded with a ventilated mattress and base which makes it suitable for overnight sleeping which is great if you are a family that loves travelling. It means you don't have to bring an extra item such as a travel cot. The carrycot is suitable from birth to six months of age. We are currently using an universal cosy toes for the pram but UPPAbaby also do their own for the particular pram too. Six months on and I would still recommend this pram to anyone who is looking. We have been on many adventures and walks with the UPPAbaby and we are looking forward for a lot more in future.